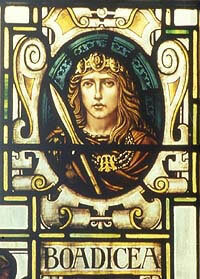 Boudicca is one of Britain’s greatest heroines, a freedom fighter who rebelled against the Roman government. 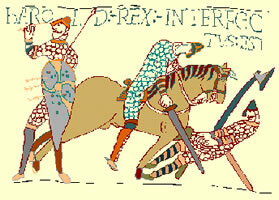 Her rebellion was the only viable challenge to the supremacy of the Romans who, until the fifth century, exercised a distinct influence over Britain and its heritage. Despite the fact that it took place almost 2000 years ago evidence of this mighty rebellion can still be found; from the remains of an Iceni settlement on the outskirts of Thetford to the Snettisham Hoard on show at Norwich Castle Museum. Great British Queen of ancient Britain, married to Prasutagus and with him she ruled over the Iceni - the tribe occupying East Anglia - but under Roman authority. Like many other rulers in Britain at this time, Boudicca witnessed the suffering caused to her people by the heavy taxes, conscription and other indignities generated by the Roman Emperor Nero. The final outrage came when her husband Prasutagus died, and the Romans plundered her chief tribesmen and brutally annexed her dominions. This was too much for the Queen and she determined to take on Nero and his Legions. In this she was not alone, for tradition tells that all of south east Britain came to her side, ready to die for the Queen who was fierce enough to take on the Roman Empire. It's noteworthy that tribes which remained loyal to the Romans, (like the Catuvellauni) were not spared Boudicca's wrath. 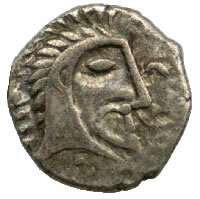 Boudicca's opportunity came when the Roman Governor General Seutonius Paulinus and his troops were stationed in Anglesey and North Wales. By the time Paulinus got back, the Roman municipalities of St Albans and Colchester had been burned to the ground by the Britons. 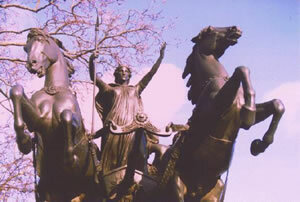 Boudicca's warriors were more than a little intimidating. 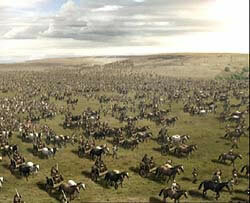 They virtually routed the Ninth Legion that had been marching from Lincoln to help Paulinus, and without additional support from Rome there was little he could do against the determination of these people. Eventually they marched on London and it was here at last that Paulinus faced Boudicca and her army of Britons in the field. We don't know where, (possibly the Midlands) but we do know that a desperate battle was fought, and although the Romans were the victors, they regained the province at great price.